David has been in clinical practice for 28 years using acupuncture, Chinese herbs, moxibustion, cupping, and German Auricular Medicine for the treatment of acute and chronic musculoskeletal and neuropathic pain, migraines, insomnia, menstrual and menopausal complaints, nausea, anxiety/depression, and for achieving and maintaining wellness. David’s passion for Chinese medicine was born in 1981 when he was successfully treated for a serious case of insomnia with the use of acupuncture and herbs. He is a lifelong student of plant medicines and other forms of natural healing. 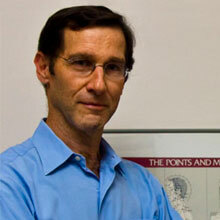 David graduated with honors in 1989 from the Southwest Acupuncture College in Santa Fe, NM. For more information go to www.mortellacupuncture.com.